It comes from Ruth Reichl’s lovely My Kitchen Year. Which is just the sort of cookbook to turn to in a time of upheaval because it’s about her life in the wake of the abrupt shuttering of Gourmet Magazine (where she was editor) and the ways that cooking gave her ballast in that time. I saw her give a talk about it last summer at the Printer’s Row Lit Fest, which, of Chicago’s many summer street fairs, is perhaps the only one I’ve made a point of visiting more than once. And hearing Reichl talk about her book reminded me why I loved and still miss Gourmet. 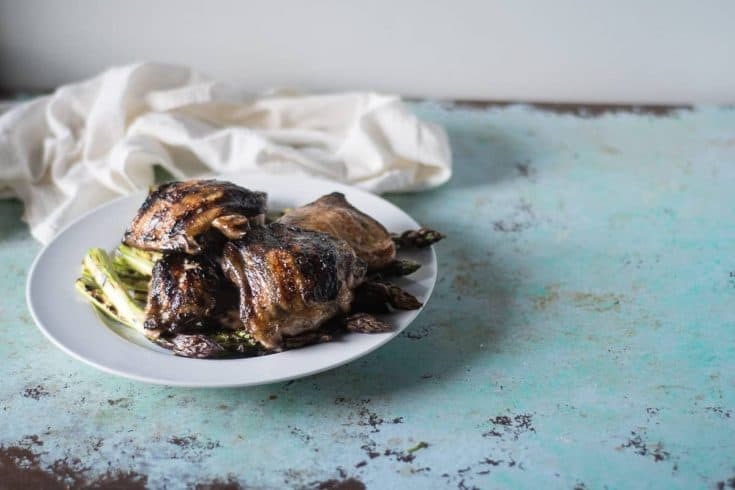 Her book is full of simple, thoughtful recipes like this grilled chicken, that reflect real life home cooking from someone who’s been immersed in the food and dining world for her entire adult life as a writer and critic and editor but never a chef. She cooks like someone who knows good food but who has, she admits, mediocre knife skills and a home kitchen and isn’t making many-component meals all the time. She makes a point of writing her recipes in a narrative format to make it feel like she’s talking you through it informally, without complicated instructions, encouraging the reader to make each recipe his or her own. The only quirk of the book that bugs is that she divides the ingredient list into “shopping list” and “staples,” the latter of which is meant to refer to the sorts of things she always has on hand. Which would be fine if my pantry were exactly the same as hers, but why is fresh parsley in the “staple” category while fresh mint or cilantro (which I swear appear in at least as many recipes in the book) on the “shopping list”? Still, it’s a worthwhile book for Reichl’s writing as well as approachable sophisticated recipes, which is pretty much squarely how I like to cook on most weeknights. 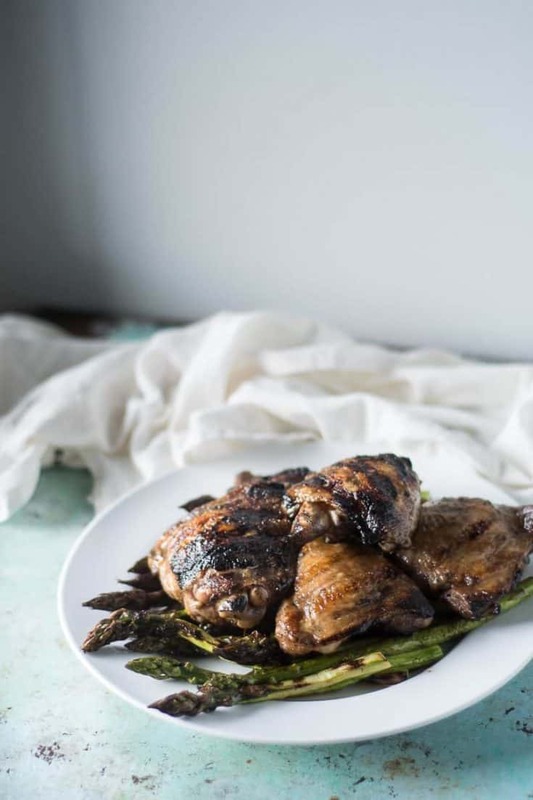 This lemon balsamic grilled chicken is totally simple. It’s really just grilled chicken that gets a quick soak in a lemony-olive oil-balsamic vinegar vinaigrette after it comes off the grill. But the acidity brings a brightness and the olive oil a succulence that grilled chicken can lack (and I use the runoff to dress the grilled asparagus I make with it here). It’s an incredibly easy way to dress chicken and the kind of thing that seems obvious in retrospect but has never occurred to me to do on my own. 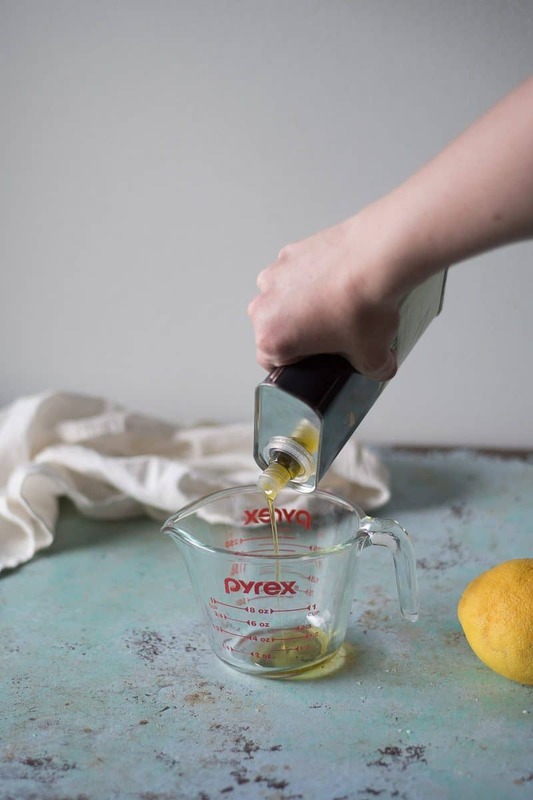 I rarely reach for balsamic vinegar, which tends to be too sweet for me, but the fresh lemon juice ups the sour acidic quotient enough to balance it out. It’s nice to use a good olive oil here because it doesn’t get cooked. I throw in lemon zest to boost the lemon flavor, which I think plays nicely with the balsamic vinegar here. While there’s no replacing the flavor of the grill, you could certainly use this vinaigrette to coat any pan-fried or broiled chicken and have a lovely meal if you don’t have a grill or the weather is uncooperative. 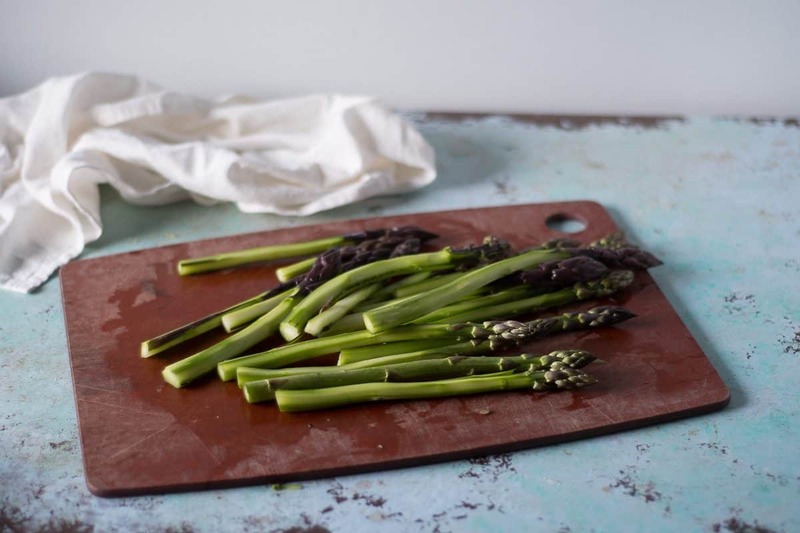 I pair this with asparagus here, because asparagus is in season and goes with the vinaigrette and tossing it on the grill makes this a sort of all-in-one kind of meal. Later in the summer I might opt for green beans or broccoli, and you could certainly serve it with a salad if you run out of space on the grill or just think that sounds better. Any way you make it, it will be delicious. As much as 8 hours ahead or just while you heat up the grill, salt the chicken all over with the kosher salt (store in the refrigerator if you're not cooking right away). When you're ready to cook, heat your grill to a medium high heat for at least 10 minutes. 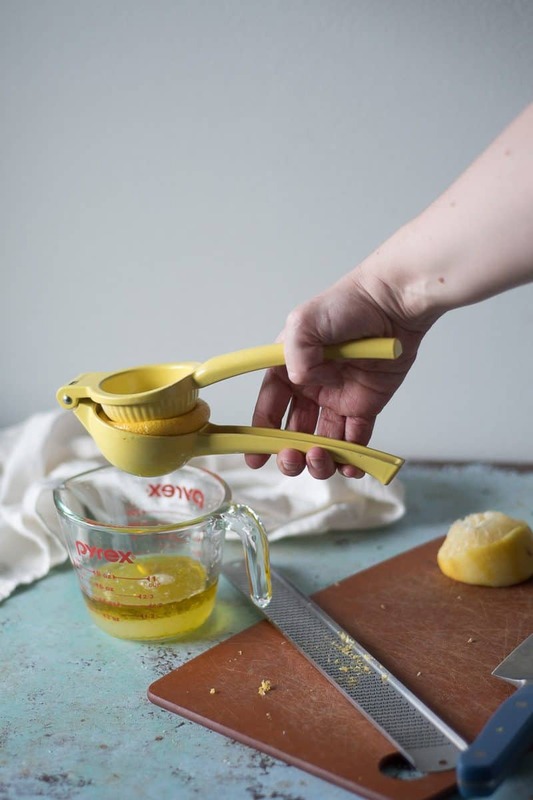 Meanwhile, whisk together the olive oil, lemon juice and zest and balsamic vinegar, and drop in the smashed garlic clove. Add the chicken, skin side up, and grill until cooked through (white meat should register 150°F and dark meat 165°F), about 10-15 minutes. Flip it over to crisp the skin for the last part of the cooking. When the chicken has about 5 minutes left, add the asparagus and grill for 5 minutes or until charred in spots. When they're done, transfer the asparagus to a plate, and transfer the chicken to a 9x13 pan and pour the vinaigrette over the chicken. Using tongs, turn the chicken pieces over to make sure they're thoroughly coated with vinaigrette and let rest for 5 minutes. 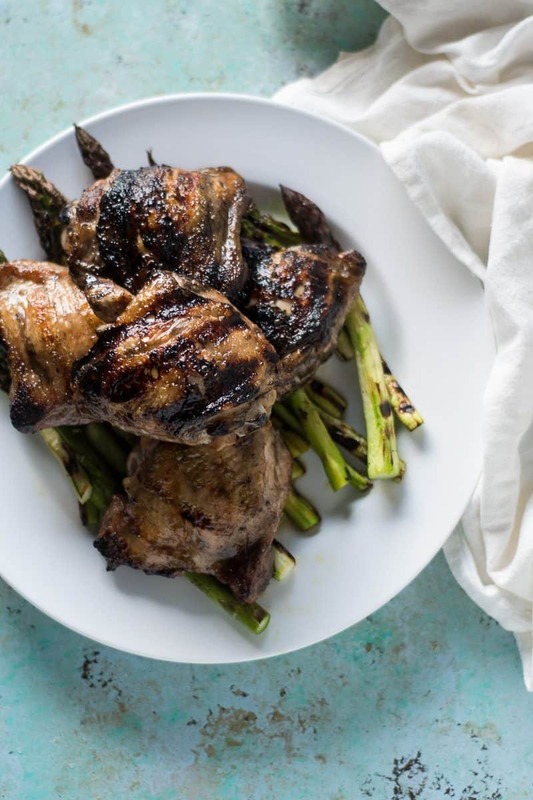 Remove the chicken from the pan (transfer to a serving plate or directly to your dinner plate) and add the asparagus to the pan to coat with the remaining vinaigrette. Season with salt and pepper. Serve. This sounds like such a delicious flavor combination for summer – lemon makes everything so light and fresh! Thanks, Julie! Totally agree about lemon! 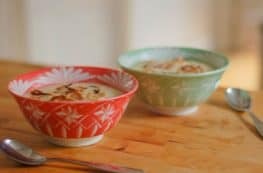 This looks absolutely delicious and I love how simple this is to make. I love balsamic chicken and this looks like it won’t disappoint. I cannot wait to try this! Thanks for sharing. Luci’s Morsels | fashion. food. frivolity. 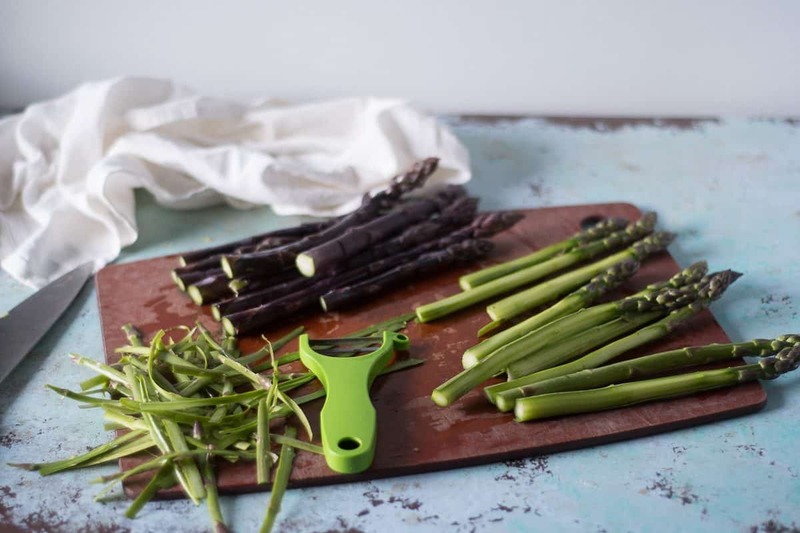 Asparagus season is one of my favourite times of the year! This lemon balsamic chicken is the PERFECT match! Asparagus season is a great time, isn’t it? Never cooked asparagus before. This recipe looks delicious. I think I should give it a try now. Mary~. Your photography is simply stunning every single time. 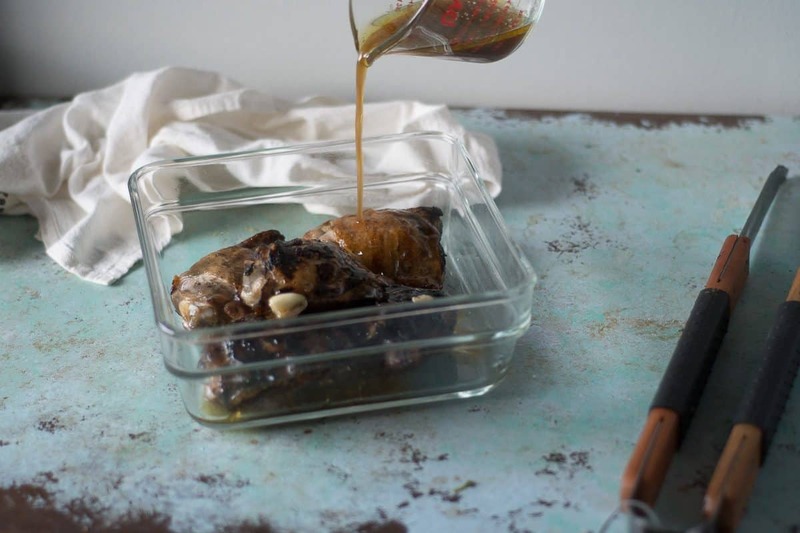 I love the idea of marinating after grilling to boost the flavor. Grilling season is here for us so Ill be trying this soon!